Meghan Markle and Prince Harry are officially pregnant with their first baby!! Because keeping up with the news is hard, here's everything you need to know about the future Lord or Lady Mountbatten-Windsor (more on that title below), in easy-to-use cheat sheet form. Meghan is due next spring. As of the announcement day (October 15), Meghan was 12 weeks along in her pregnancy, and she was feeling "quite well" after her 12-week scans. She'll give birth in the spring, probably around April which means that her baby and Prince Louis will only be a year apart in age. 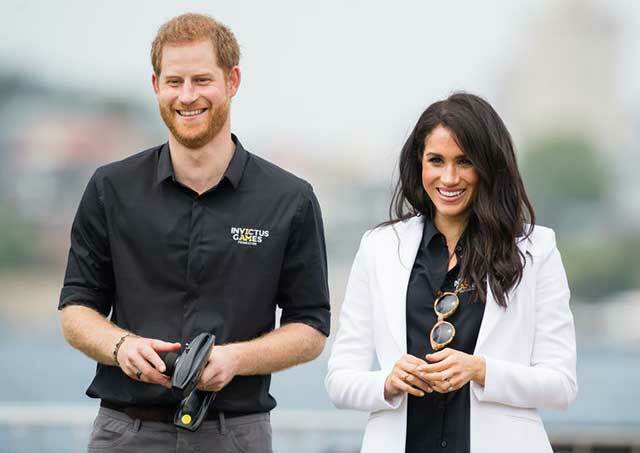 Harry and Meghan went to Zika-prone countries on their tour, but they took precautions. The announcement came while Meghan and Harry were literally on the plane to their first royal tour, and two of the countries they visited were Fiji and Tonga, which both have Zika virus. Apparently they got medical advice before they left, though, and with the help of doctors they decided it was safe to go. There's already speculation on what the name will be. It's practically a tradition at this point that people in England bet on the future royal baby's name. As of right now, the top contenders for the new kiddo are super traditional, like Alice, Arthur, Philip, Victoria, and Diana. One name definitely not in the running? Samantha, the name of Meghan's half-sister. 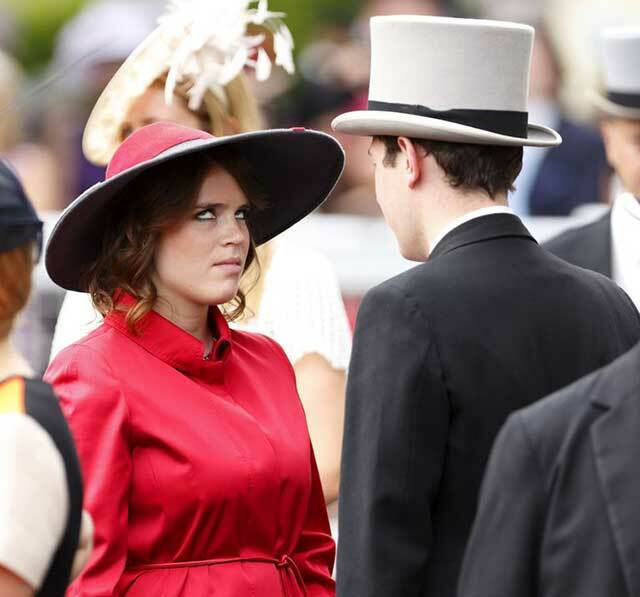 They spilled the beans at Princess Eugenie's wedding. In slightly awkward news, it turns out that Meghan and Harry actually told his family they were having a baby *at* Princess Eugenie's wedding, which is like... weird. But hey, when you're excited you're excited! The child won't be a prince or a princess, unless Queen Elizabeth makes an exception. Harry and Meghan's children will fall right behind him in the order of succession, making this baby seventh in line for the throne when it comes. Whether it's a girl or a boy, it won't have the prince or princess title because of a rule created in 1917. Basically, Prince Harry's kids will be too far removed from Queen Elizabeth to have the Royal Highness title. But she could step and in and change that if she wanted. The rest of the royal fam is very pumped about it. Kate Middleton and Prince William, unsurprisingly, are really pumped for Meghan and Harry. Actually, the exact word was "delighted," according to a source. Queen Elizabeth is also "delighted for the couple," and Meghan's mother Doria is "very happy" to be a grandma. S'cute! There was actually some controversy over the announcement. Meghan and Harry chose to announce their news on October 15, which is actually International Pregnancy and Infant Loss Remembrance Day. It's a day to recognize pregnancy loss and infant death due to SIDS, miscarriage, and stillbirth. People on Twitter were not too happy that the most high-profile baby announcement of the year came on that day, of all days. Meghan and Harry plan on raising their kids in the country. According to a source who spoke to Us Weekly, Meghan and Harry don't plan on raising their kids in the hustle and bustle of London. Instead, they like the idea of living at their home in the Cotswolds, which is about two hours outside the city. "No one bothers them there," the source said. "They're excited to raise children in the country." People think Meghan is hinting at her due date with her rings. 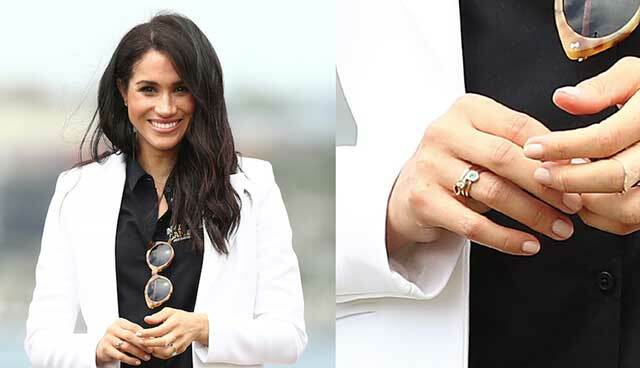 One very observant royal fan on Twitter pointed out that during a recent royal engagement, it looked like Meghan was wearing a ring with three different birthstones on it. Here's a picture of the ring. That would mean the royal baby would be due in April, but it's just a piece of jewelry, so who knows! People are also assuming the baby will be a girl. For basically no reason at all, people around the world think Meghan and Harry are having a girl. One person during the royal tour actually told Harry, "I'm predicting it's going to be a boy," and Harry laughed, responding with, "Everyone is predicting it's going to be a girl." Again, there's no proof that this is actually true, but that's what people are speculating. During an earlier stop on the tour, Harry even revealed that he *wants* it to be a girl. Someone told him "I hope it's a girl," and he said "So do I," which is really sweet and adorable and very Harry of him. Harry and Meghan plan on not spoiling their kid. 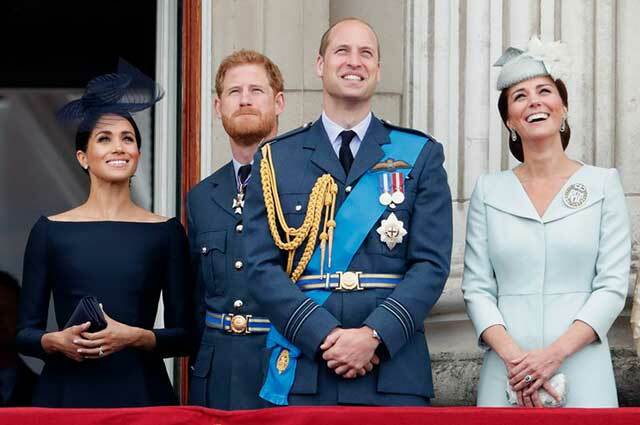 According to royal expert Omid Scobie, Meghan and Harry intend to "bring up children who know the values of normal things in life." Like, they're going to make sure they're as close to regular people as royal life will allow. "Meghan will take her kids on a subway. They'll have chores, and jobs one day," Scobie told Us Weekly. "They won't be spoiled."